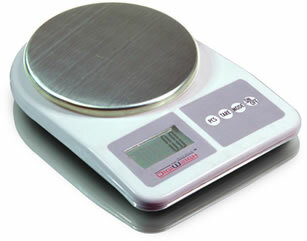 The DigiWeigh DW-1001 tabletop scale is a professional balance designed for labs, schools or industries. The DW-1001 digital scale is also a counting scale for small items. Perfect repeatability and off-center accuracy. 2 weighing functions: weight, counting. 4 weighing units switching by one touch of button. LCD size: 2" x 1"